International influences and similar histories keep Hong Kong and Macao eternally tied. Separated by only a short ferry ride, this pair of energetic destinations charms with glittering skyscrapers that give way to bustling side streets lined with markets and locally owned establishments touting dynamic cuisine. 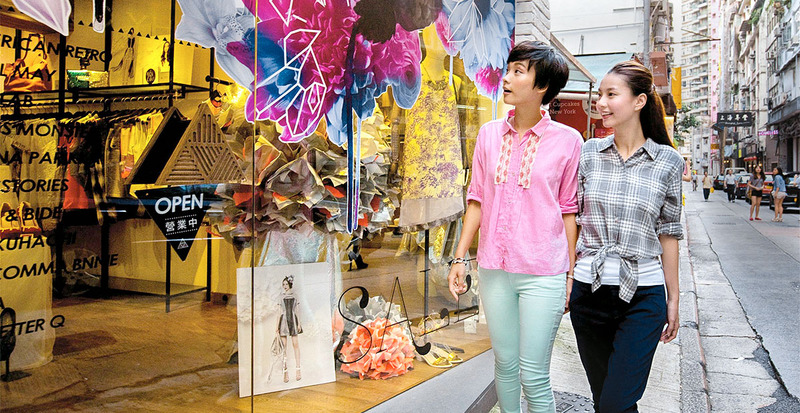 Become immersed in Hong Kong and you’ll see why this thriving modern getaway earns the designation as “Asia’s World City.” Discover the many facets of this multicultural destination as you explore attractions loved by locals and diverse neighborhoods that contribute to the distinctive spirit of Hong Kong. You’ll find crossroads of old and new throughout Hong Kong, such as along the well-trodden Hollywood Road. Begin in the neighborhood of Sheung Wan, where you’ll browse handicraft shops inside an Edwardian-style mall and witness the ancient practice of Chinese medicine. As you continue to the Central District, colorful souvenir stalls blend with designer boutiques and traditional tea parlors that neighbor trendy cafés. Man Mo Temple, which dates back to 1847, pays tribute to the gods of literature and war in peaceful contrast to the busy pace of the nearby Financial District. 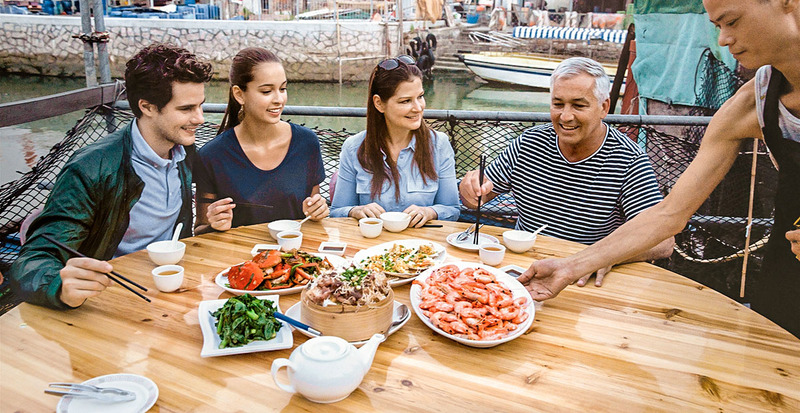 A family dines on local seafood at a restaurant in Tai O. Time seems to stand still as you wander the narrow streets and fish markets of Tai O, where iconic stilt houses hover above Lantau Island’s tidal flats. Fisher folk heritage holds strong among these interconnected, unusual structures, immersing you in a tightly knit community with local histories dating back generations. Explore the coastal wetlands and mangrove habitats of this enchanting destination and sample traditional egg yolk and tofu pudding, made by village experts. Though towering skyscrapers dominate the city skyline, in actuality scenic islands, rolling mountains and impressive rock formations make up more than 40 percent of Hong Kong. Escape the urban bustle in just 30 minutes and discover more than 270 miles of idyllic countryside. 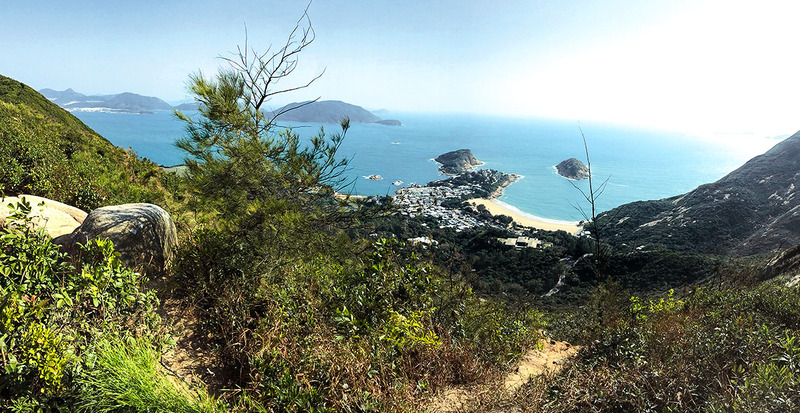 You’ll experience another world here as you take in the stunning natural beauty — perhaps while traversing undulating hilltops along the Dragon’s Back hiking trail on Hong Kong Island, voted Best Urban Hiking Trail by Time Asia. Macao enchants with its rich and dynamic melting pot of cultures. Peruse local markets, sample cuisine and take in the romantic architecture, where early Portuguese influences have created a unique blend of Oriental and Western styles. Navigate your way through the famed Red Market, a sprawling, three-story wet market where locals shop for fresh fare including vegetables, seafood, meat and live poultry. The adjacent Three Lamps District features rows of fruit stalls alongside those selling clothing, fabrics and jewelry. 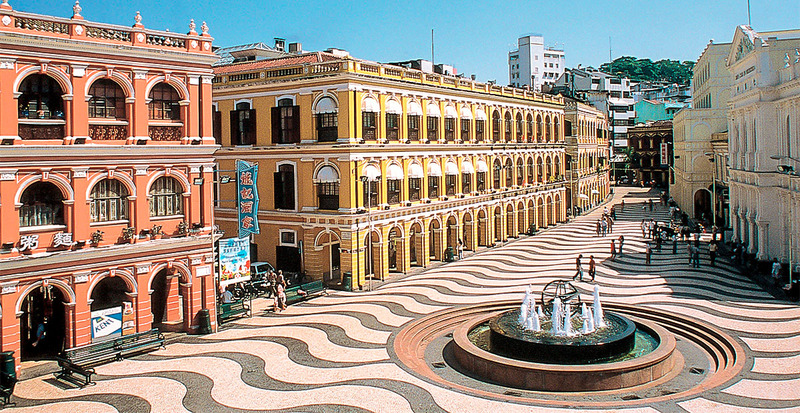 At the historic Senado Square, take in the surrounding pastel buildings as you sample local cuisine at restaurants like Wong Chi Kei, where you can dive into its signature dish of braised egg noodles with shrimp roe. 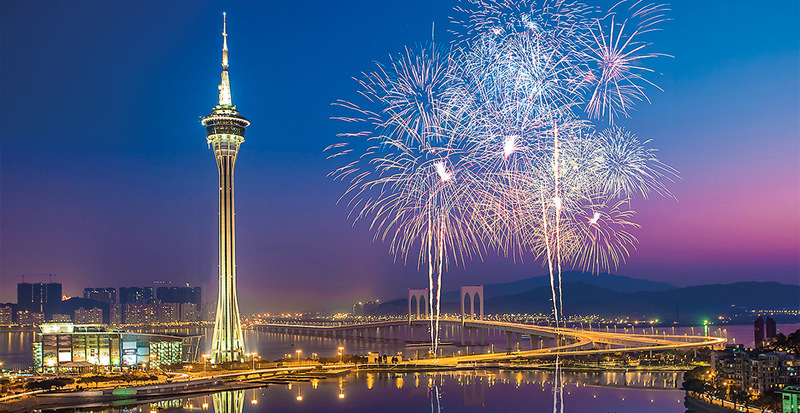 The annual Macao International Fireworks Display Contest in September and October is a sight worth beholding. Showcases are held every weekend as locals compete with international visitors for the most dazzling displays. Grab a chair at one of the restaurants along Avenida da Republica and watch as colorful fireworks burst in the night sky, illuminating the placid waters of Sai Van Lake. Macao’s street food culture is a true local gem, with mom ’n’ pop shops serving up the same signature specialties as they have for generations. 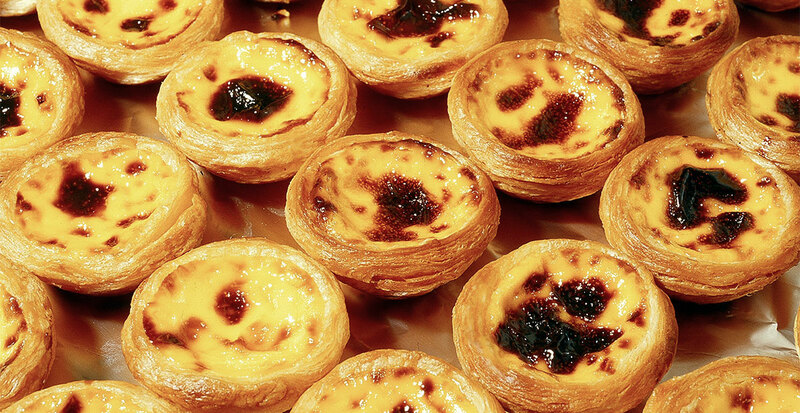 Stop at Lord Stow’s Bakery for a taste of Portuguese egg tarts, an edible icon in Macao, and head to Koi Kei Bakery for almond cookies — the enticing scent alone will have your mouth watering before you even bite into these spongy treats. We’re excited to share these gems and more with you — call today to reserve your vacation!